Located 81km away from Bac Yen town, Suoi Lenh village is considered as one of the most remote areas in Son La province. The village is the home of the Mong people (an ethnic group in Vietnam), and has been suffering from poverty for decades due to the lack of natural resources and the remoteness.Villagers are mostly poor farmers , and their children did not go to school until Mang Non kindergarten was established in 2014. 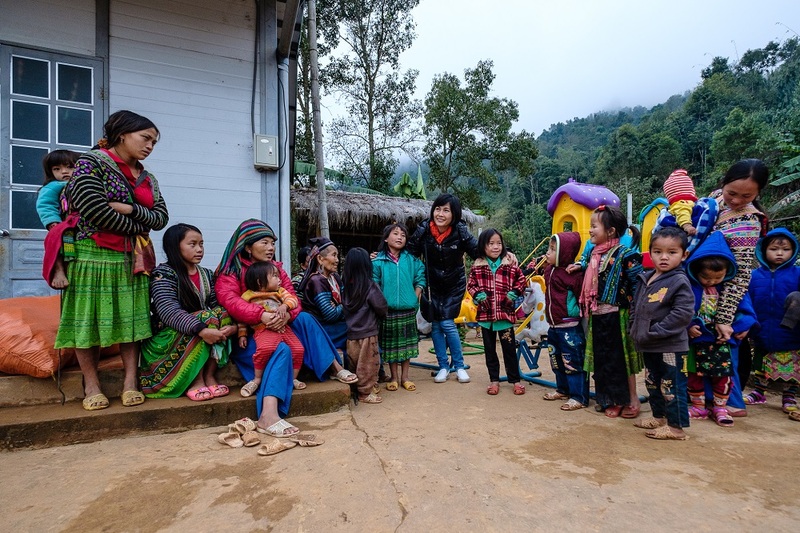 Built in the northwest mountains of Vietnam by a group of volunteered teachers with the support of the Son La province’s Government, Mang Non kindergarten aim to reduce illiteracy rate among the Mong children and provide them basic education. The school holds seven classes in different villages, with most of which are only shelters and lack of basic facilities. Suoi Lenh is considered as the “center point” of this kindergarten, also the easiest to reach. 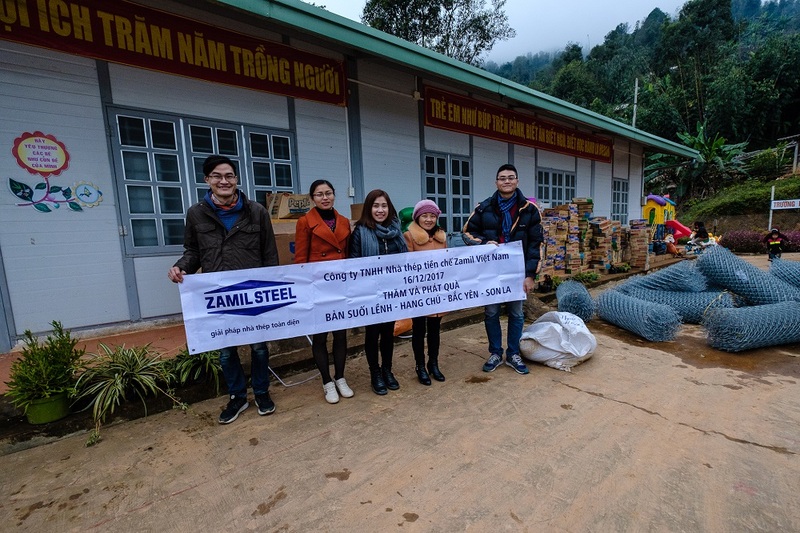 With the hope to support the children in this area, Zamil Steel Buildings Vietnam has sent its charity team to bring the donated necessities to Mang Mon kindergarten on 16th December 2017. The team has travelled over 200 km to reach its center point in Suoi Lenh village and met with the children staying on this “campus”. Donated necessities such as food supplies and warm clothes were carried on truck and well received by the Dean of Mang Non kindergarten – Ms. Tran Thi Thang. 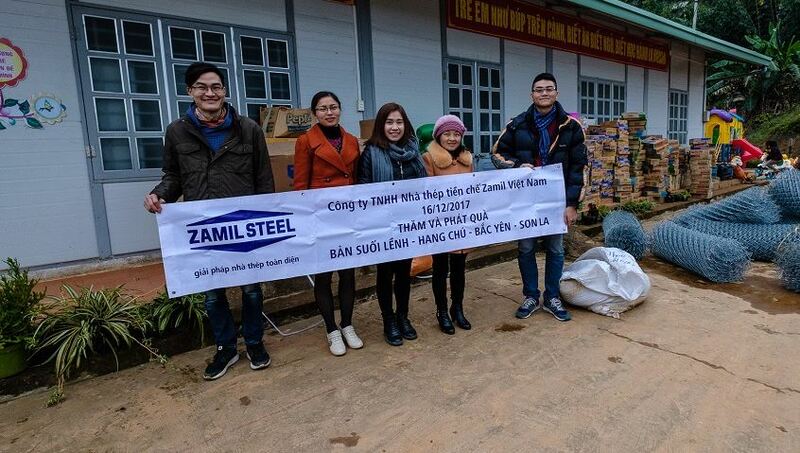 In a warm talk with the team, Ms Thang has expressed her sincere thanks to Zamil Steel Buildings Vietnam for supporting the development of this area. Zamil Steel Buildings Vietnam Co., Ltd was established in 1997 as a joint venture between Zamil Industrial Investment Co. and Mitsui & Co. Ltd, specializing in design, fabrication and erection of Pre-Engineered Steel Buildings and Steel Structures.